"It is my honor to visit Myanmar and I am deeply grateful to the Myanmar government, customers and partners for their continued support in MOL's business development. 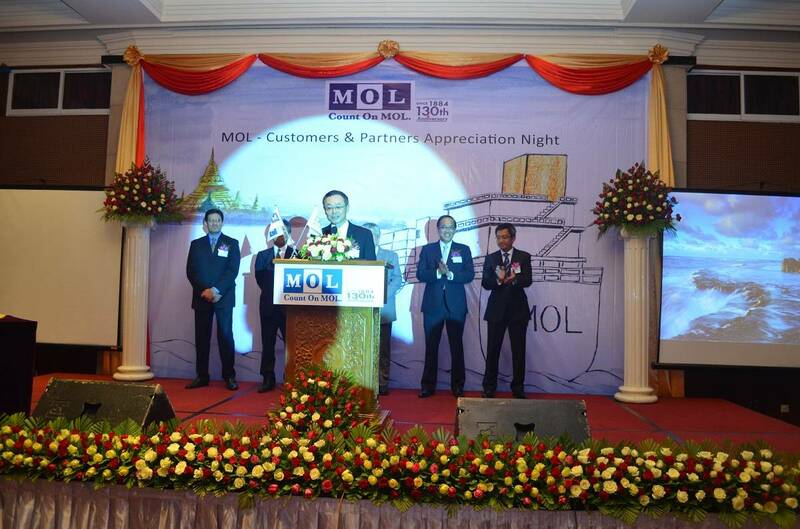 Over the years, MOL has grown in tandem with Myanmar and we have long become one of the country's closest partners," said MOL President Muto. "As Myanmar continues to open up and expand, we see the country standing in front of a new world - a world of growing economic opportunities of trade/infrastructure development and regional strategic hub position for maritime transportation. MOL is pleased to work together with the country to seize the growth opportunities by further expanding our containership businesses in time." MOL’s presence in Myanmar dates back to 1898 when the first cargo ship Hikosan Maru called at the Port of Yangon. Since March 2012, direct service linking Singapore and Yangon has been established; the service provides scheduled sailing to Myanmar customers with assured transit time and connections to MOL’s global network. 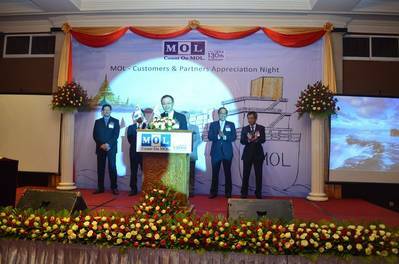 In October 2012, MOL established MOL Myanmar Ltd., a wholly-owned subsidiary of MOL. Apart from future expansion on the containership businesses in Myanmar, MOL may expand in time its other businesses to cover bulkers, tankers and car carriers. As a multi-modal transport group, MOL will continue to actively seize opportunities that contribute to global economic growth by constantly monitoring our performance and meeting customer needs.